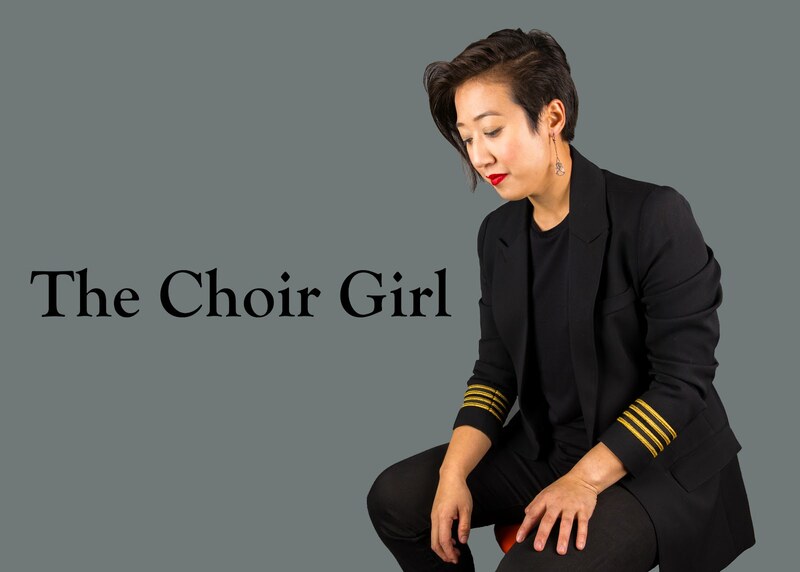 Since its founding in 1995 by Artistic Director Elaine Quilichini, Calgary Girls Choir has inspired girls and young women to meet the creative challenge of choral music performance. 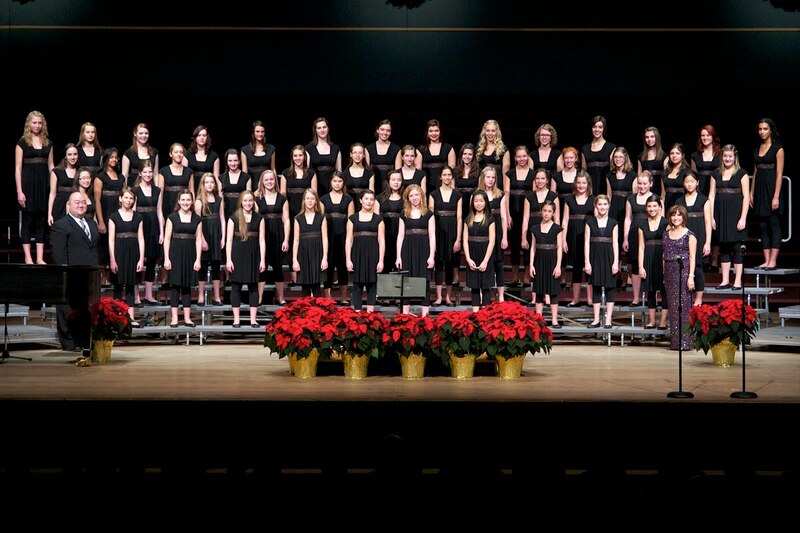 Now in its twentieth season, the Choir is recognized nationally and internationally for its dazzling performances and many accomplishments: first-place awards and major prizes at Canadian and international competitions; prestigious performances at the National Conferences of the American Choral Directors Association, ACCC Podium, and the Organization of American Kodály Educators; features on national television; premieres at the Banff Centre for the Arts; concerts with the Calgary Philharmonic Orchestra and Civic Symphony; and commissions of new works by Canadian and international composers. Brava is proud and excited to be able to perform alongside Canada’s top choirs at Podium 2016. The maturity and polish that CGC Brava members are able to bring to their performances has earned them a stellar reputation worldwide as a leader amongst the top youth choirs. Their exceptional tone quality, intonation and musically sensitive performances inspire all who aspire to choral excellence. Their credits and accomplishments are a testament to their willingness to push the boundaries of their abilities and to give their heart and soul in the service of the choral art. An interview with Elaine Quilichini, Conductor of the Calgary Girls Choir. What do you feel makes the Calgary Girls Choir unique from other choirs? All choirs are so unique and special and each aspires to meet their own personal point of challenge. The Calgary Girls Choir is proud of its unflinching commitment to providing “only the best” literature to nourish the musicianship and vocal development of its choristers. CGC is also very gratified by the commitment its graduates have to continuing to learn and sing in their adult lives. CGC continues to develop professional and amateur musicians as well as to develop an educated and discerning audience for the future. What are some of the highlights you have had with the Calgary Girls Choir? Some of the major highlights for CGC have been tours that have been a tremendous source of motivation, growth and inspiration. The Vienna Youth Music Festival, Eistedfod in Llangollen,Wales, Carnegie Hall with EQ as conductor, performances at the Vatican and St. Mark’s while on tour in Italy, Podium and ACDA performances as well as being featured as the “choir in residence” at the National OAKE conference in Chicago. Four wins in the ACCC choral competition for Amateur Choirs has been very exciting! In truth, the choir and EQ have always enjoyed the rehearsal process the most! Tours, competitions and performances are the result and natural extension of the joy that comes from learning and accomplishment in rehearsal! We love the product but love the process just as much or more. The sharing of music and growth with our fellow singers is really the greatest highlight of all! What is the importance of fostering choral singing in specifically girls and young women, like in the Calgary Girls Choir? The Calgary Girls Choir has adopted a motto to express just that and the importance we attach to it. The Calgary Girls Choir-Giving Young Women a Voice! Choral singing is the perfect vehicle to help girls and young women not only to express themselves but also to understand that their thoughts, and emotions are worthy of being expressed and heard. Through singing and discovering the power and impact of their own voice their confidence and self-esteem is greatly enhanced. They are given permission and encouraged to express their deepest thoughts and emotions. Girls and young women are easily silenced and sidelined and their opinions and worth are still often disregarded as being less worthy of belief or importance. We see everyday that is true in the world of adult women and therefore understand just how much more true it is for young women. The CGC through singing and through fostering an atmosphere of respectful collaboration seeks to give girls a place not only to use and develop their voice but a belief that they are entitled to be heard and respected and should expect nothing less. What challenges do you see working with treble voices? Working in 3,4 and 5 part harmony within the treble range is extremely challenging and requires tremendous aural skills from the singers who don’t have the advantage of the more varied timbres, qualities and intervallic distance found in an SATB choir. Working against the false perceptions that the artistic and musical depth of a treble choir is inferior or secondary to that of mixed choirs. One of the first considerations for me in planning our programme for Podium 2016 was to look at Canadian repertoire that would be relatively new to Podium delegates and audiences and therefore help increase the delegates knowledge of Canadian contemporary works. I want to help spread awareness of the great compositions of present day Canadian composers and to provide performances of this repertoire that could serve as a model for others. I begin by listing all repertoire I feel would have potential for presentation at such a prestigious concert and that I feel my choir could sing with artistic excellence and spirit. Gradually, I hone the list until I feel I have a strong and unique programme that will be satisfying for my choir and bring a varied and interesting concert to the conference. What can audiences hope to see from the Calgary Girls Choir at Podium? Audiences will hear an exceptionally beautiful vocal and tonal quality combined with rare musicality and artistry. The Calgary Girls Choir is known for its brilliant vocal technique and the sheer beauty and ease with which they sing challenging and varied repertoire. The Spotlight program on Sat. May 21 at McDougall United Church (5 pm) will including 2 choral gems, a Missa Brevis by Canadian composer Eleanor Daley and a recently published work by Canadian Mark Sirett, entitled April (I Love You). Podium is an essential coming together of musicians who believe in the value and importance of choral music in life and in the world. Choral conductors, by the very nature of their work, understand the importance of choral singing in building community. Coming together as a choral community at Podium to share, learn and be inspired is vitally important for the continuation and growth of choral music in Canada and in the world. Much as CGC believes that singing is “giving young women a voice” we also believe that our Canadian composers are “giving Canadians a voice” and an identity. The importance of this cannot be overstated. One of the mandates of the Calgary Girls Choir is the commissioning of new works by Canadian composers as well as the commissioning of new Canadian folk song arrangements. I’m very fortunate to have been able to publish many of these commissions in my choral series thus making them available to all. Canadian choral composers are respected throughout the choral world and conductors from other countries seek out the compositions for their choirs to perform. Canadian choral composers have enhanced our sense of identity and pride as something uniquely Canadian is expressed though these works. Our singers burst with pride knowing these great works they sing and listen are Canadian. I determine the length and the keys of each piece and categorize as sacred, secular, Canadian, folk, unaccompanied, experimental etc. It is important to me that the composer has a good understanding of the voice and writes in “singer-friendly” way. That is that the voice is able to function freely and with comfort. I also consider the ways in which the composer works with text and melody and how well the two come together to create a satisfying marriage of both music and poetry. I also consider the creativity and freshness I hear in their approach and hope to find a composer who can bring the unexpected to life. What do you consider when you preparing to introduce a new work to present to your choir? One of the things to consider in approaching a new work is what aspects of the piece can best help develop and increase the musicianship of the singers. In some pieces, it is rhythmic training that is called for most, in others it may be a need to develop sight singing, phrasing, language, etc. I try to find the thing in each new piece that will most help awaken a musical and informed response to it in my singers. The challenge of variety in the programming is always a major consideration and challenge. Choosing repertoire that provides variety in style, period, language and level of challenge. To try to strike a balance that is meeting the point of challenge for my singers but never overwhelming nor underestimating. Trying to a balance in the repertoire worked on that provides for educational and performance objectives. I trained as a pianist and a singer and have always been grateful for a background in both fields. Having studied the piano and theoretical aspects of music (harmony, counterpoint, form) has been a tremendous advantage in approaching any level of musical challenge with confidence. As a young teacher I discovered the Kodály philosophy which emphasized the importance of singing as the way to provide the most effective and authentic musical education. That tied in perfectly with my experience and beliefs. My passion was always focused on singing but I was also drawn to the study literature and poetry. In choral music I found the perfect marriage of those two loves. Singing and poetry…I continue to be excited and inspired by that combination every day. As a young school music teacher, I was somewhat discouraged by the general approach to music education I encountered in the schools. I found when I formed my first school choir that they were in fact an instrument that seemed to have limitless potential for musical accomplishment and artistic expression. I decided that a life of teaching music through choral music was something I could believe in and pursue enthusiastically. I began to see more and more how hungry for great music and meaningful musical training and experiences people were. This inspired me to continually look for ways to learn more and grow as a teacher/conductor so that I could bring others to the experience of great music. Beauty and the pursuit of beauty and goodness are at the heart of my passion for choral singing. Choral music is a powerful gift for the betterment of mankind. Singing choral music lifts us out of our petty and personal concerns as we join our voices with our fellow man to create beauty and hope. Choral music is one of the loftiest pursuits we can pursue. Choral singing lifts us out of the mundane, allows us to express some of the greatest sounds, thoughts and emotions created by the minds and souls of great geniuses. Choral singing solidifies our mutual humanity as we use our own bodies and voices together for the creation of beauty and self-expression. Singing elevates us! Our potential for good is revealed and we are less likely to allow the “darkness” to intrude in our souls. Choral singing is about hope and we all need more of that! The Calgary Girls Choir hopes to continue for many years providing sound and thorough musical training for all our choristers. We continue to work to develop programs that can expand and deepen that training and to provide life-changing experiences through choral music, singing and artistic expression. Programs for boys and adults are a natural extension of our passion for changing lives through music and giving people an opportunity to “find their voice”. We hope to continue to commission great new works by Canadian composers and share them all over the world through touring and recording. We want to expand our connection to and understanding of the world through our love of singing and of Canada! CGC- Brava is honoured and thrilled to be attending Podium 2016! We are excited to hear and meet choirs and conductors who have inspired us along the journey. We hope we will have an opportunity to meet and bond with many singers who understand and share our love of choral singing. Elaine Quilichini is recognized internationally for her exceptional musicianship, distinguished work and extraordinary gift for inspiring others. As a Master of Music (Kodály), she has served as a clinician, lecturer, adjudicator and guest conductor across Canada, the United States, Australia, Japan, Argentina, Brazil and the Canary Islands. In 1995, Ms. Quilichini founded the Calgary Girls Choir, and with her vision and passion has built it into one of the most celebrated choirs in the world. A Master of Music in Kodály Methodology, provided a strong philosophical and pedagogical base for her work in music education and choral development. Ms. Quilichini built successful choirs at Mount Royal Conservatory and conducted the University of Calgary Women’s Choir for ten years. She continues to serve as the Artistic Director of summer choral programs at Wichita State University and Nebraska Wesleyan University. In addition, she leads an active music studio and travels extensively as a guest conductor and to offer clinics and workshops. Her students have achieved great success as music educators, conductors and professional singers. 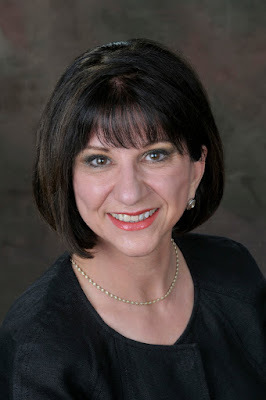 A notable indication of Ms.Quilichini’s stature in the choral community is her successful choral series published by Alliance Music Publishing, Houston, Texas. Global Television has recognized Ms. Quilichini, as a Woman of Vision. This award celebrates women whose passion, talent and commitment is reflected in their achievements. A perfect fit for Ms. Quilichini’s contributions.